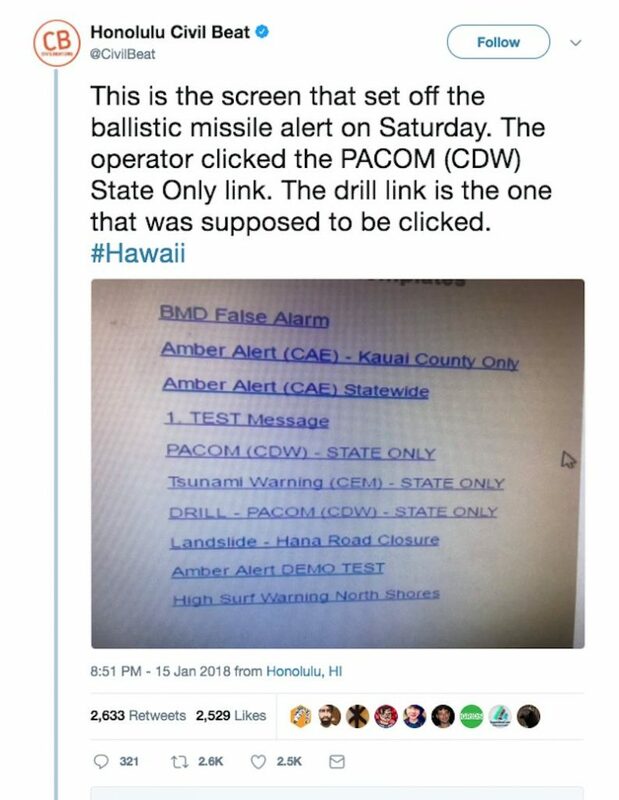 Nowhere is this clearer than in the case of the accidental missile launch warning that was sent to all of Hawaii. It is easy to mock the technician who sent out the alert. It’s easy for us to criticize them and say how stupid they were for sending out an alert that terrified millions of people. But it’s a little harder to look in the mirror of that screen. How many of us might have made the same mistake? How many of us might have clicked the wrong button? Who knows what the user experience is beyond the button – is there a confirmation? Is there a check to confirm that the information selected is true and correct? The user interface we choose to implement matters a great deal. Simple, easy-to-use interfaces can help avoid mistakes. Complex or ambiguous interfaces only sow confusion. This is an important part of our work as engineers, and we owe it to the people who use our designs to give it great thought and deep consideration. User experience matters. Let’s keep that in mind as we design and build.